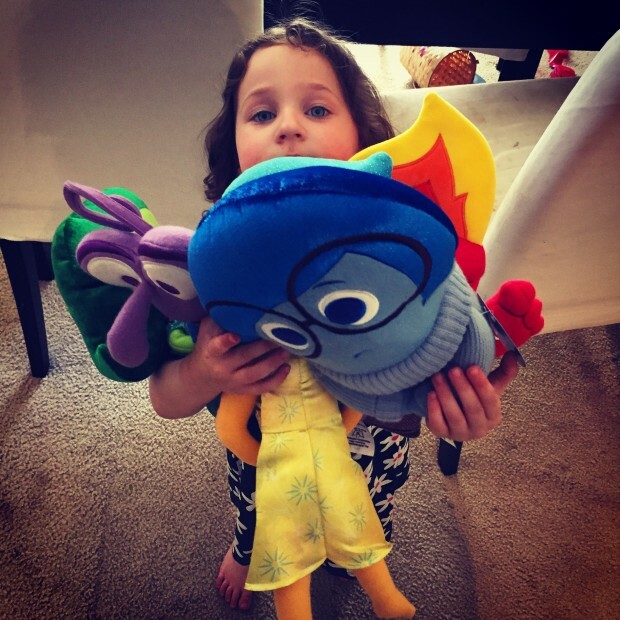 It’s not just another cute Disney movie for your kids to fall in love with the silly characters. Inside Out brings you into a world of clever adventures through the brain and everything that makes us tick, in the Disney sense that is. 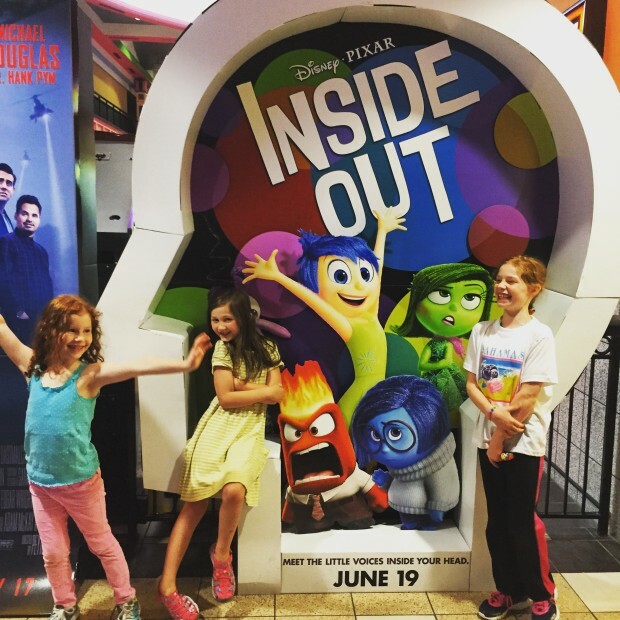 Inside Out opens 6/19.Don't get sold out and purchase your tickets today! You’ll meet five emotions that help control the brain of Riley, an 11 year old girl from Minnesota. Their names are Joy (Amy Poehler), Sadness (Phyllis Smith), Disgust (Mindy Kaling), Anger (Lewis Black) and Fear (Bill Hader). Everyone has these five emotions in their brain, a.k.a Headquarters, even the cats and dogs. When Riley and her family move to San Francisco for her fathers job, Riley goes through an emotional process that her own emotions aren’t sure how to handle. The fear of a new school, the sadness of missing her friends, the anger of being in a new place, and the disgust of broccoli on your pizza. Joy is overwhelmed with trying to make Riley happy again and finds herself on an adventure with Sadness when they get lost out in Riley’s brain when her core memories are ejected by accident. They venture through places like – Long Term Memory, Imagination Land, Abstract Thought and Dream Production. *SPOILERS AHEAD* You’ve been warned! Inside Out reminds me of Wreck it Ralph and all the clever tidbits that writers throw in their for adults to enjoy and giggle at also. You’ll find yourself crying and laughing throughout the movie, and if you’re a mother, bring an extra tissue, because this story is really going to hit home for you. I found myself ugly crying at certain parts of the film (and again while I’m writing this). It made me realize that the adolescents age can be an emotional trying time. Kids go through a lot of changes at this age and we have new emotional experiences that can be hard to handle. The movie shows not only how her emotions have to evolve to Riley growing up but how her parents have to evolve to their daughter growing up and that her emotions will be changing with them. The control panel gets bigger and more complex but it’s still manageable. Sometimes our memories can bring on a little sadness, and thats ok. Because Sadness is a part of our lives and helps make us who we are just like Joy, Anger, Disgust and Fear are. I'm not looking forward to these changes in my girls. I've already seen some big changes in my oldest. I'm pretty sure, Disgust and Anger have the controls most of the time. As for my youngest, Joy has the controls and I'm not sure if Fear has even joined the group yet. It's going to be interesting in their teen years. They are like night and day, opposites. JaMonkey is the one that came with me to see the screening and she loved it. I'll be taking both of them to see it again next week in Dolby Cinema at AMC Prime. I'm excited for the VIP experience or comfy seats and awesome sound. Here is the best clip in the movie though. I’m in love with all of the characters. They all have a vital role. My favorite was Disgust though, I love Mindy Kaling and she really was the perfect person for this role. Lewis Black was also perfect for Anger too. It reminds me of his rants on Comedy Central. Here's a clip to show you what I mean. You’ll also get to watch a sweet new Disney Pixar Short before the movie starts call LAVA. 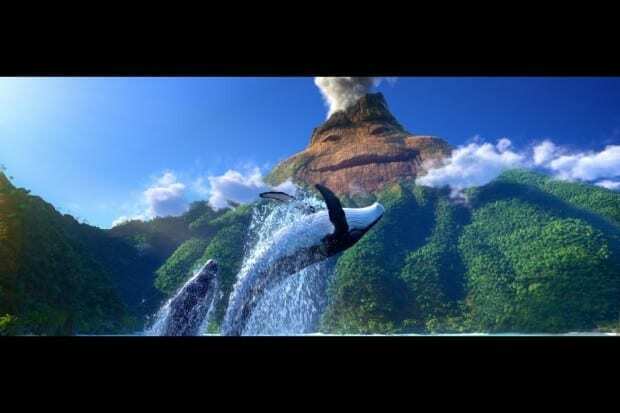 Inspired by the isolated beauty of tropical islands and the explosive allure of ocean volcanoes, “LAVA” is a musical love story that takes place over millions of years. It’s about a volcano out in the middle of the ocean just looking for find love with another volcano one day. You’ll fall in love with the beautiful song. Go check out LAVA and Inside Out in theaters now! It’s a must see this summer.